Once again, a combination of historic racers from Formula 1, Formula 2 and Group B racing will be tearing up the runway tarmac, alongside a selection of classic and modern motorbikes. Sywell Classic Pistons and Props 2017 – What’s on? The pistons will be out in force, on the Racing runway as around 75 classic cars and bikes will chase the fastest times. Then the Sprint Strip will once again host the popular Street Car Shootout as dragsters and motorbikes go head to head. Up in the sky, the props can be seen in the form of air displays performed by the world-renowned Yakovlevs and The Blades. Also don’t miss the world’s only formation wingwalking team, the Breitling Wingwalkers. 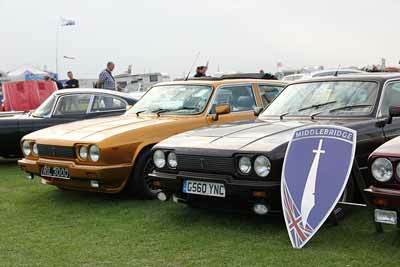 The show field will feature displays from some of the UK’s best classic car clubs. 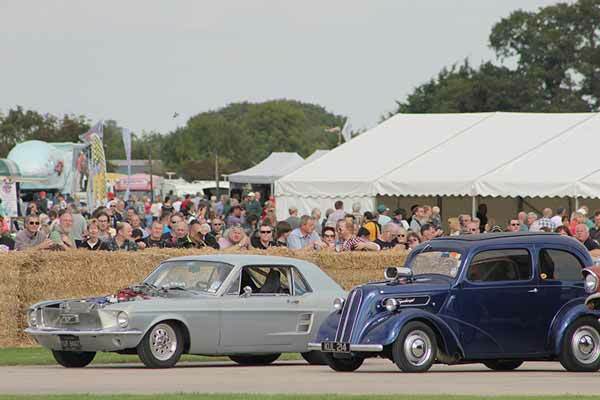 The Sywell Classic show field will feature some of the UK’s best classic car clubs. Classic car owners show off their vehicles (must be manufactured pre 1986) in the Pole position parking area. Only limited spaces are available to book so be quick. It’s not all about the transport at Sywell Classic. There is World War 1 and 2 re-enactments, live music, a vintage fun fair and craft fair. Tickets are available in advance, or on the gate. Advance prices start from £18 in advance for adults, with tickets for children aged 5-15 from £7 in advance and free entrance for those under five-years-old. A family ticket (2 adults, 2 children) starts from £43 in advance with all advance tickets subject to a service charge. Weekend tickets are available, at £30 in advance for adults, £10 for children, £70 for family. Tickets on the gate start from £22 for adults, £10 for children and £54 for families. Weekend tickets on the gate are £85. Car parking is free, and for those who wish to camp a pitch for one caravan or tent is available for £60 in advance. Camping pitches cannot be bought on the day.